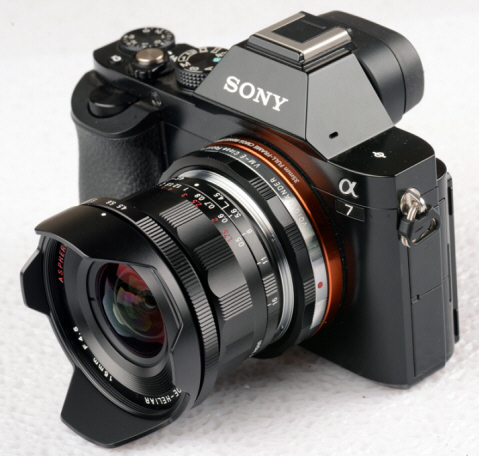 This is the new Version III just released in March 2015 to correct color problems on the M240 and full frame Sony A7 series. 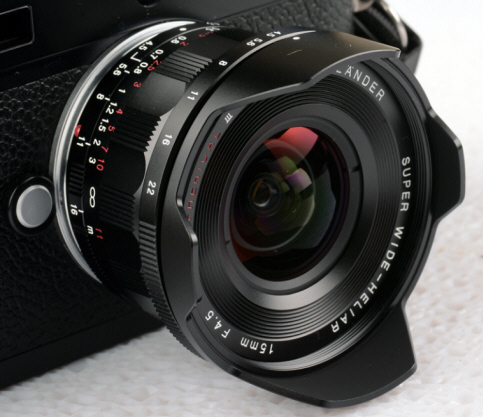 "The Voigtlander 15 f/4.5 III – Great on the Leica M 240 and Sony A7 series! 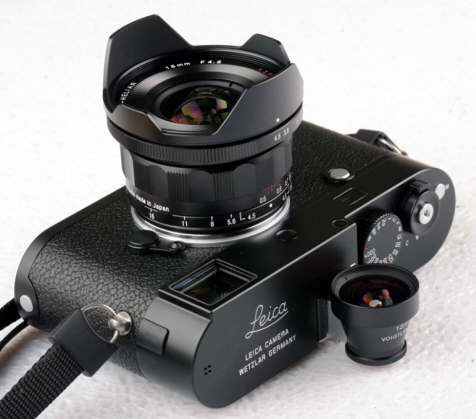 The new V3 can now be used on a Leica M without ANY color issues whatsoever." The Sony FE 35mm f2.8 spoiled me - tiny, light and sharp - and so, when the reviews of the 16-35mm zoom proved pretty meh, I began looking around for a FE-35mm equivalent in a superwide prime. Wide open, this is virtually perfect across the frame into the corners. Stopped down to f5.6, it is nearly perfect. You need to shoot architectural subjects very level to avoid tilt, or correct them in post - but that's true of every lens of this type. I mistakenly believed this lens had significant vignetting because I shot my test shots with sky in them. It wasn't a big deal, because it was easily corrected in Lightroom. But then I began shooting interiors with it - and there was nearly NO vignetting! Then I remembered some shots with my old 16mm/UWA combo on my NEX-6: superwide lenses in "severe clear" (pilot term) settings tend to make a kind of polarization effect in the corners of lenses. That's what one can expect with this lens. Otherwise, there appears to be very little vignetting with this lens. There is distortion of a type that will suggest you keep people's bodies - especially heads - out of the corners and off the extreme edges of this lens...but again, a characteristic of these lenses. A final observation. This well may be the sharpest lens you can buy even close to this price for the Sony A7 series. I have seen the results with the FE 55mm f1.8 and this fully competes with it. The potential for huge sectional blowups of ISO 100 images is really there - so in many cases, you can keep this lens on your camera when you might otherwise switch to a different focal length. I have tried this on my NEX-6, and while it of course provides about a 23mm equivalent on that camera, and other crop sensors like the A6000, the quality of image is surely there. Conclusion: Thank your, Henry, for recommending this lens to me. It's a great' valued addition to my bag. 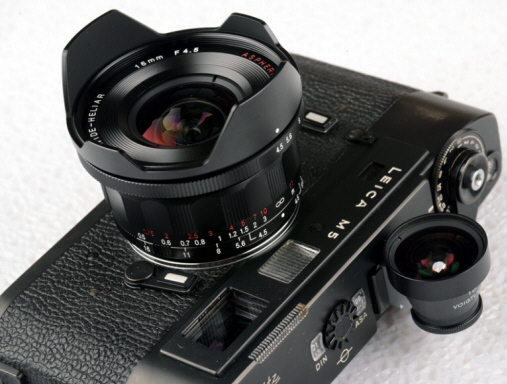 I have owned all three versions of the Voigtlander 15mm lens. Starting with the tiny screw mount Version 1, moving to the focus coupled M mount Version 2 and today with Version 3. 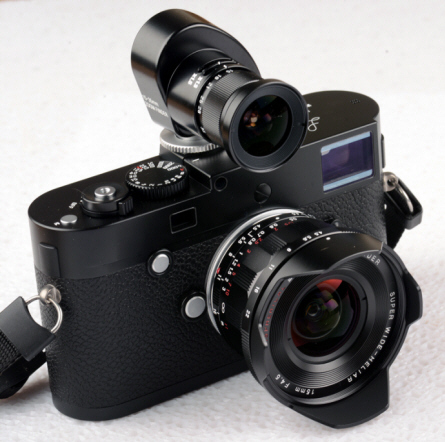 The newest version is a bit larger than Version 2 but is still a very compact lens on an M Leica. The focusing tab has been replaced with a wider scalloped focusing ring that turns smoothly and is well dampened. The front of the lens is protected with a built-in metal scalloped lens hood that accepts 58mm filters vs. the previous 52mm filters. The very effective multi-layer anti-reflective coating has a similar appearance as used in earlier versions. 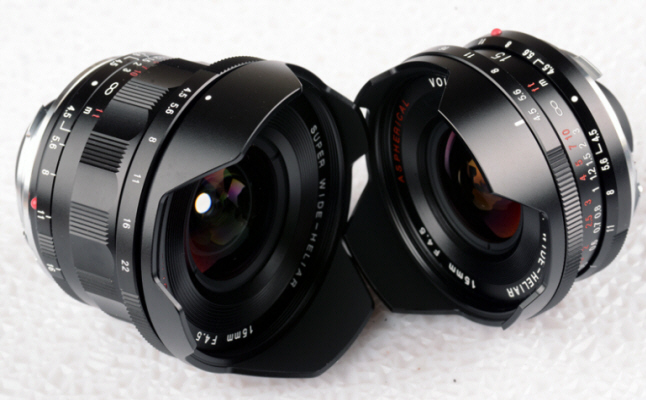 The lens aperture ring rotates more smoothly with firmer detents that produces a quality feel that is better than some Leica lenses. 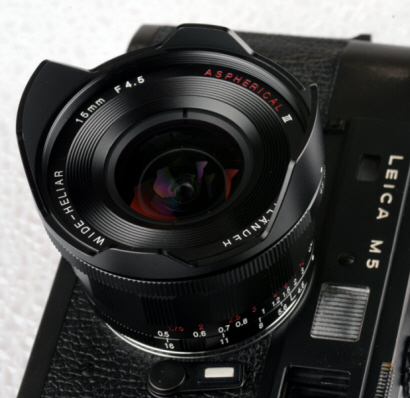 Setting the aperture to f8 will produce images in focus from infinity to a half meter away. 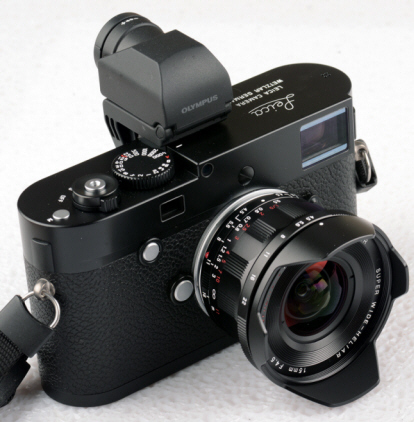 The optional small round metal 15mm optical viewfinder from Voigtlander yields clear views for glasses wearers and is a nice alternative to the Leica M live view or the attachable EVF. 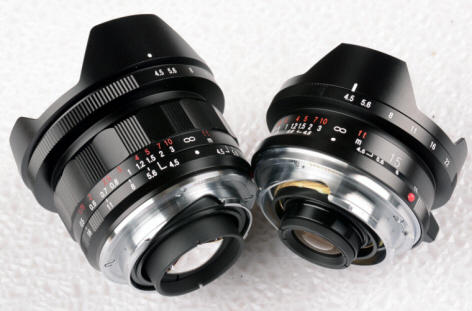 So mechanically, its a more robust and mature lens design that its predecessors.